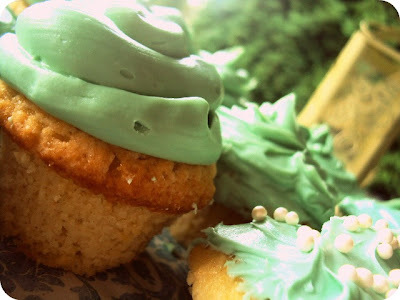 You know how the main flavors of cupcakes, cake, ice cream, basically anything dessert is chocolate and vanilla right? 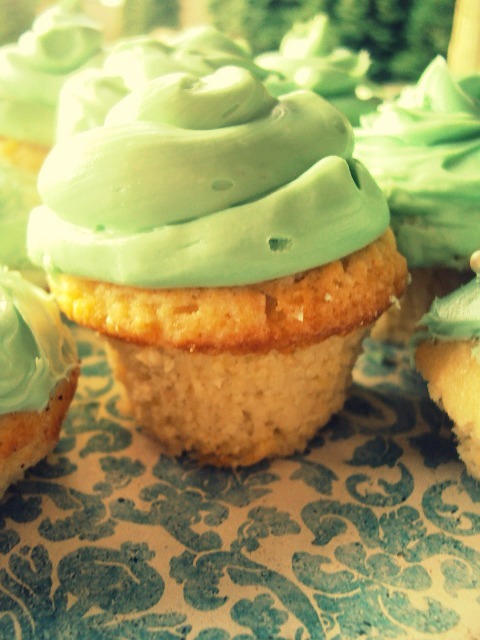 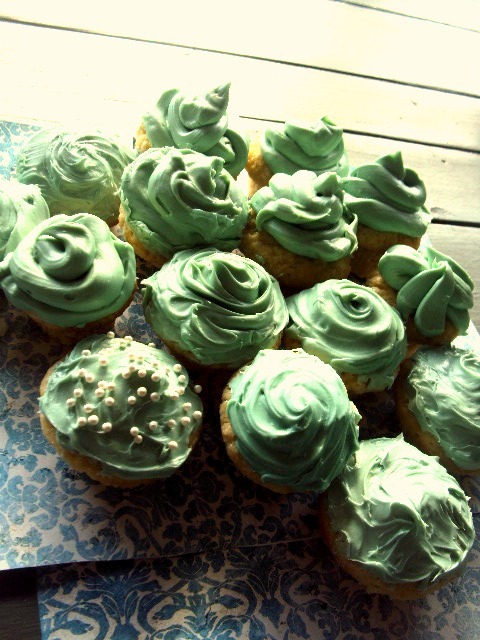 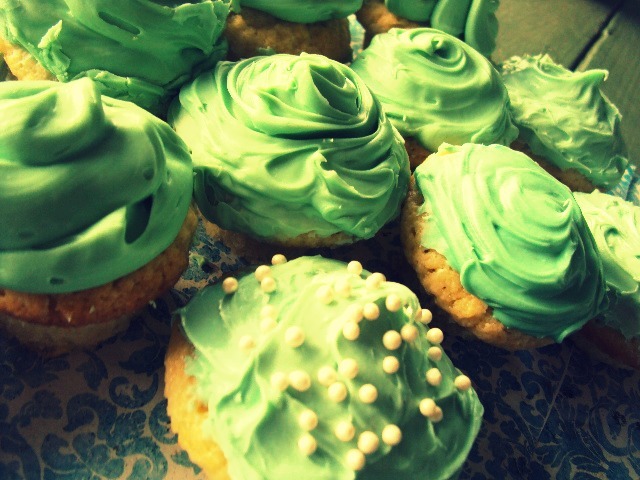 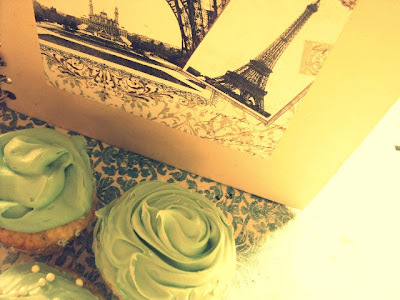 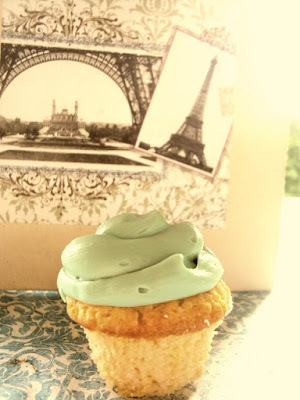 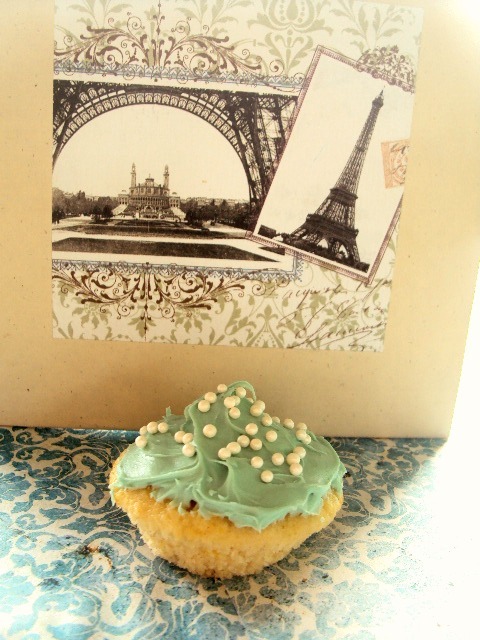 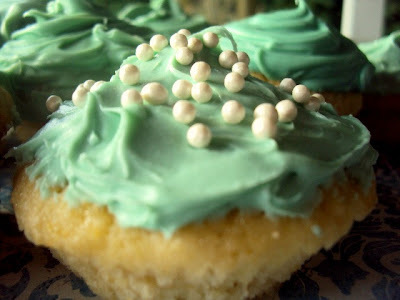 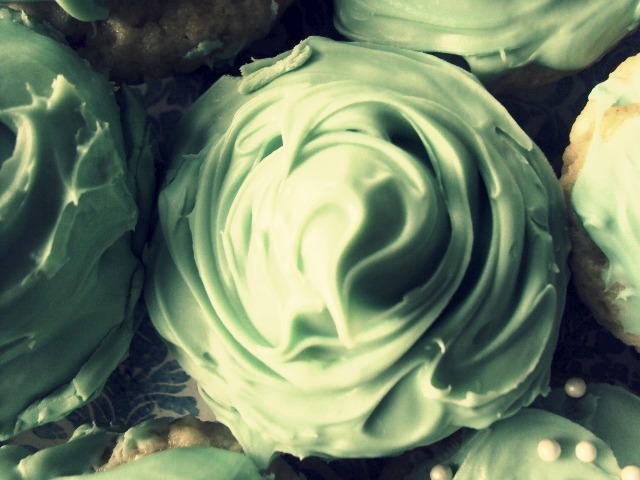 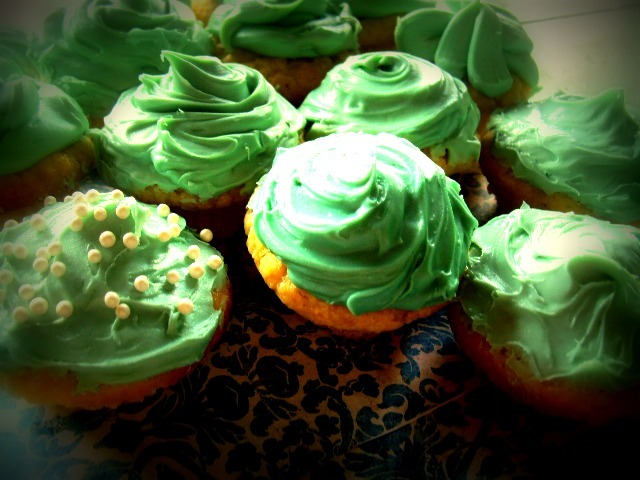 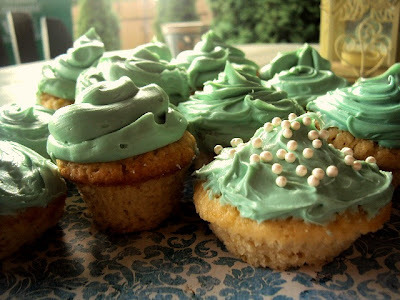 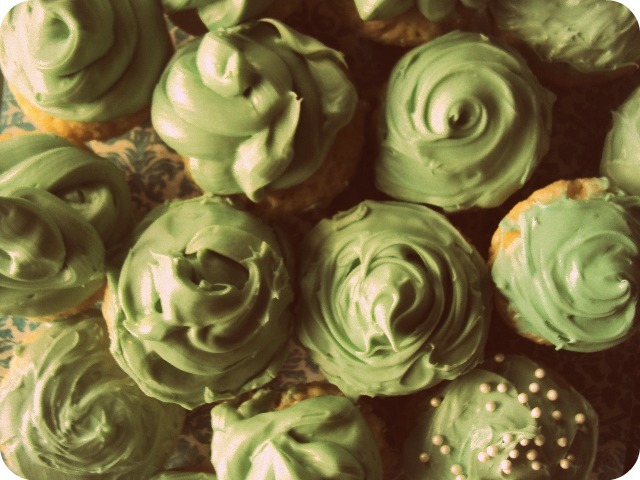 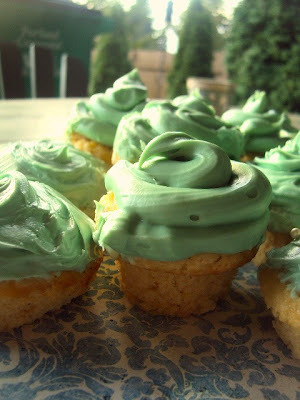 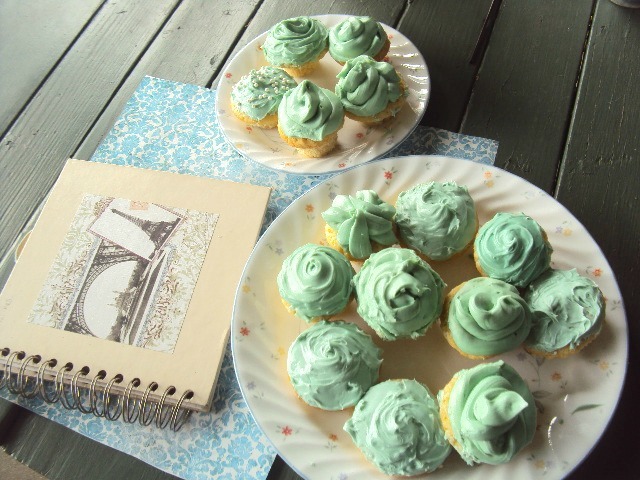 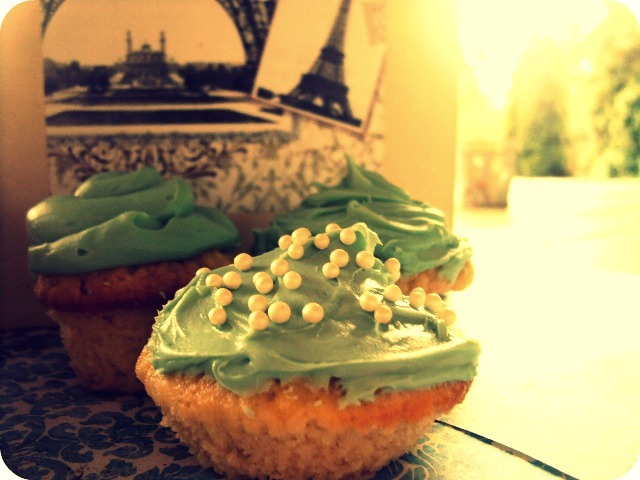 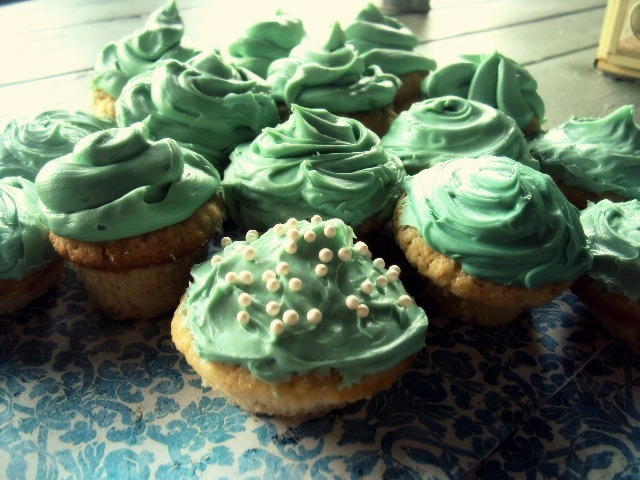 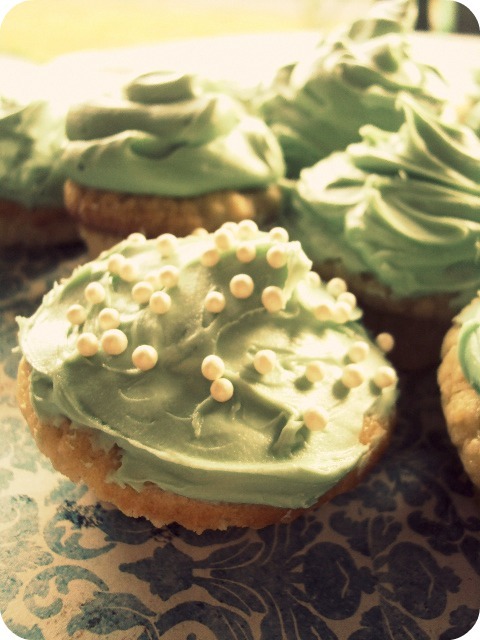 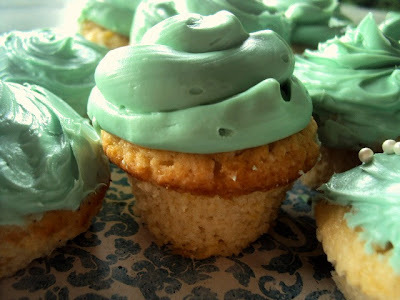 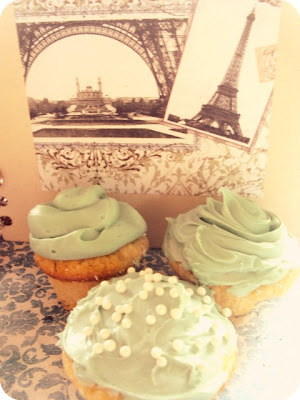 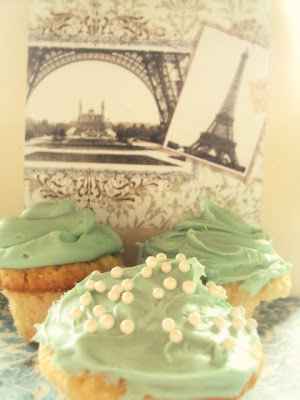 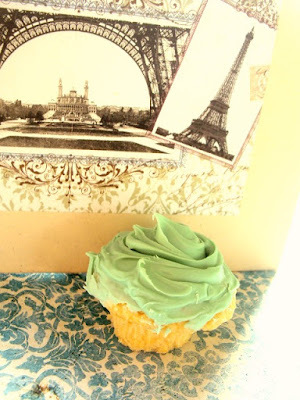 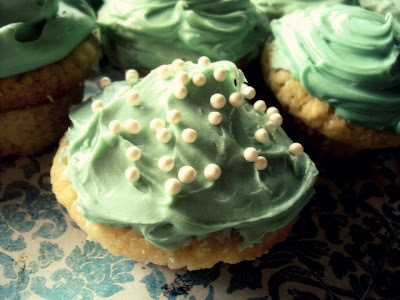 I found this recipe in my mom's old cookbook, not exactly vintage, but vanilla cupcakes have been around for a LONG time, and I decorated them "vintagy" so, they are kinda. 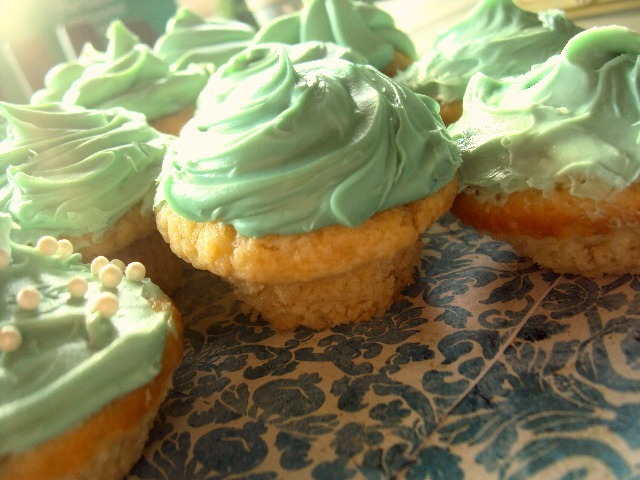 The recipe dates back, so there you go! I made these last night, frosted them this morning and took pictures this morning. 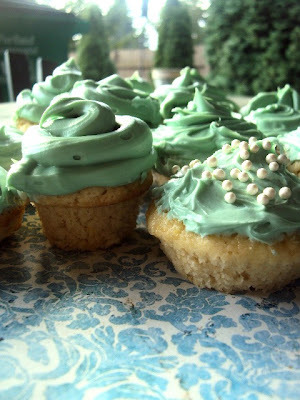 The lighting is so much better! 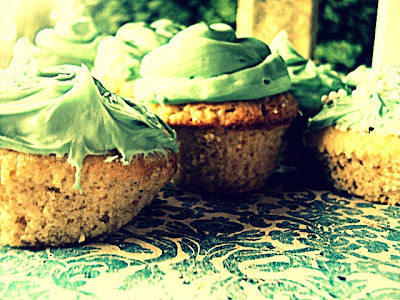 Put them in the oven for 20:00 min. 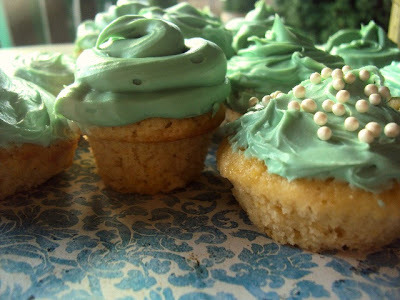 I had cupcake liners on them, but I took the liners off, because the liners didn't go with the theme I was going for.